Van den Hul offers one of the most diverse and intriguing ranges of cable on the planet, featuring among other things conductors of linear structured carbon (LSC) instead of metal. LSC is expensive and bulky when used alone, but this cable adds just a little of it to a more conventional complement of stranded silver-plated copper. This allegedly makes up for some of the deficiencies of metals and "transforms the radiated magnetic field into an audio-signal again". There is little, if any, scientific evidence for the low-level distortions that vdH attributes to metal conductors, but the detailed behaviour of a cable using LSC will be different from metal alone, and we like to keep an open mind. Insulation is 'Hulliflex', a low-loss, halogen-free soft material unique to vdH. The wide conductor spacing makes for quite high inductance and this cable is well suited to 'twitchy' amplifiers like some older Naim and Exposure models. 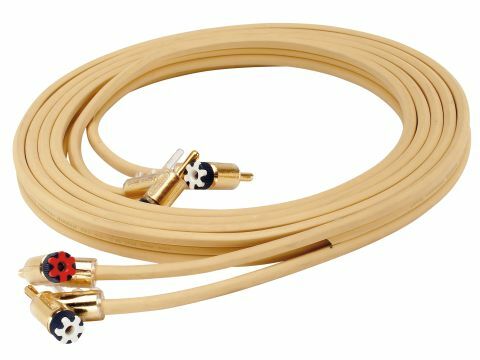 We found the treble of this cable perplexing: it seems well-extended and also tuneful but just a little shut-in, resulting in slightly constricted imaging. Bass is also extended but lacking in weight and tunefulness. Despite that, it has good impact; this is a very rhythmically confident cable. It is not entirely neutral in the midband and seems to favour male voice over female, cellos over violins and so on. Still, that rather mellow nature is certainly preferable to screech or harshness, of which there is happily no trace. We suspect this cable will have very system-specific success.